You should be redirected automatically in a few moments, but if not, please click here to see if A compendium of Liverpool history compendia has made the transition. As an archaeologist, I often bump into the border between the historical (especially the prehistorical) and the strange. By that I mean the paranormal, the unexplained or the mysterious. Ancient monuments like the Calderstones in Allerton are rife with legend and half-known stories, and I have to admit that I love all that stuff! But sometimes historical and archaeological knowledge is fascinatingly mysterious in its own right, and has allowed John Reppion (mentioned in my last post on the Spirits of Place symposium) to write an incredibly comprehensive history of said Calderstones. The Calderstones of Liverpool collates the history, rather than prehistory, of the stones, from their earliest ‘written’ mention on a boundary dispute map of 1568 up to their relocation to the current glasshouse vestibule in the 1980s. We also get details of associated monuments like Robin Hood’s Stone, also in Liverpool, and Barclodiad y Gawres and Bryn Celli Ddu in Anglesey, which share some important features with the Merseyside monument. Research into these monuments by antiquarians in centuries gone by linked them to Druids, and invented gory stories of blood running down the (in truth, natural) grooves on Robin Hood’s Stone. Finally, John considers what might happen to the Stones in the near future, with their possible move from their present site. He calls it a potential “mixed blessing” and it’s certainly true that the Reader Organisation, who will be carrying out the move, have their work cut out to find the right solution. Luckily, they’re taking the time they need. 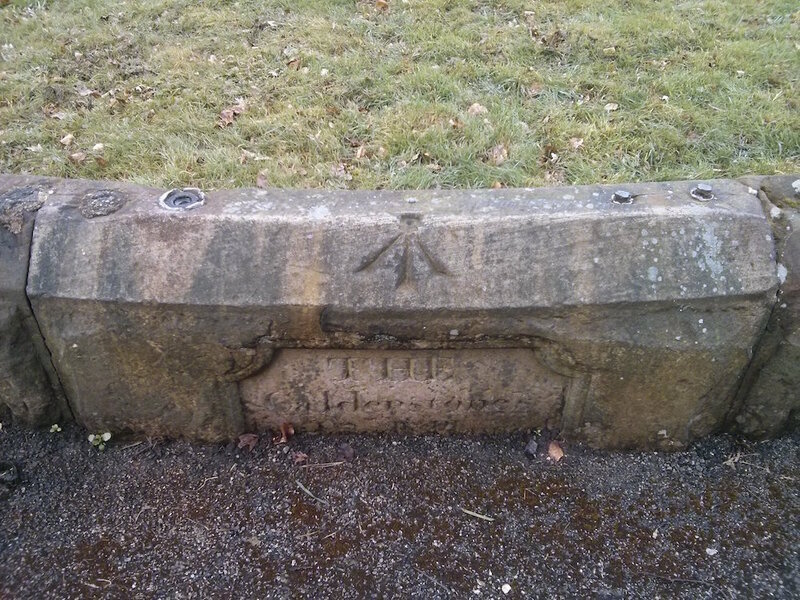 Read it: The Calderstones of Liverpool, by John Reppion at the Daily Grail. The Liverpool Echo has a decent summary of the history of Walton Hall and Park, which may become home to Everton FC if certain plans come to pass. The Echo article The history behind Walton Hall takes us through the history of the manor, right back to the Norman Conquest. The ownership at this time belonged to Roger de Poitou, who was given much of the area after his loyalty to William the Conqueror. We find out the families who owned it in succession down the centuries, until it passed to the Corporation at the turn of the 20th century. There’s also a picture gallery showing significant moments in Walton Hall Park’s history, from concerts to waterproofing the lake. Read it: The history behind Walton Hall – which once stood on park where Everton FC want to build a new ground in the Liverpool Echo. Bold Street seems to be one of those parts of Liverpool that everyone has such vivid memories of. For some it’s the scent of fresh coffee from the Kardomah Cafe; for me it’s descending the poster-decorated stairs of Hairy Records – my first experience in a proper record shop! It’s also had a very interesting history, tied (pardon the pun) to Liverpool’s maritime history through its origins as a ropewalk. It was an early fashionable shopping street (‘the Bond Street of the North’), and it is home to the Lyceum, England’s oldest subscription library. 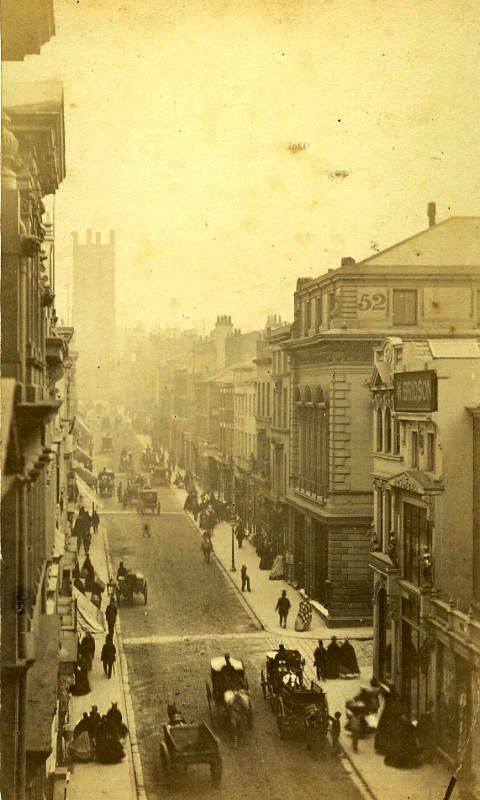 Future Liverpool has a page dedicated to pictures of Bold Street’s history, and has everything from old postcards to modern snaps. We see gangs of people, adverts for music halls and stock sales and shop front pictures. Relive it: Old Bold Street by future Liverpool. Croxteth, alongside its neighbour West Derby, has played an important part in Liverpool’s early history. The Croxteth Estate was the main seat of power in the area until Liverpool rose to prominence. It had a second role in the 1950s when, finding itself on the edge of the changing city, it was one of the areas destined to receive thousands of people moving out of the bombed and/or poorly built centre. There were great ambitions for the Croxteth housing estate, and it was hoped it would provide a little utopia full of mod cons for the new arrivals, as well as shops and a school. This article from Beatles, Liverpool & More Ltd covers a very short period of time, but provides a host of photos, plans, maps and a Register of Electors document for purchase. It shows the estate as fresh and new, because of the short period covered, and represents a time when hopes were high for these massive areas of housing. Read it: Making of Croxteth, 1952 – 1956 by Beatles, Liverpool & More Ltd.
I’ve saved my favourite for last really. That’s not the usual tactic on these blogs, is it? Never mind. There’s not all that much to say about this page, because it’s one of those you’ll be able to understand very quickly, and then spend hours browsing! The Consumer Data Research Centre collects all sorts of ‘consumer-related data’, from sales data to energy consumption. There’s some link with building ages, it seems, so they’ve produced an amazing data map of such ages in Britain. It’s like Google Maps, in that you can drag the map around and zoom in and out. Houses in different areas are colour coded to rough decades, and the quick impression you get from a high vantage point is of the old houses in central suburbs, the inter-war homes towards the outskirts, and more modern dwellings on the city boundary (like in Croxteth, for example). There is, of course, much fun to be had spotting the mistakes, because the map averages out areas. So the large areas are basically right, but those areas with pockets of different ages come out looking more homogeneous than they really are. The town centre of Liverpool, for example, is all red, which points to 2000-2009. This makes the tool a little less useful for buildings in town, but it’s also interesting in that it shows us that so many of the buildings in town are modern, that they drown out the older ones when it comes to sheer numbers – even those 1960s post-war developments! The colours are based on the age of the greatest numbers of buildings in that area, and so it may be that the map is totally misleading for the centre of town. However, it seems fairly accurate for the suburbs, and is a fun tool to explore. OK, so there was a little more to say than I realised! Explore the map: CDRC Maps, centred on Liverpool, by the Consumer Data Research Centre. I hope these little snippets have supplied you with some top historical sources to pore over this weekend. Let me know what you think of them in the comments, or join me on Facebook and Twitter.